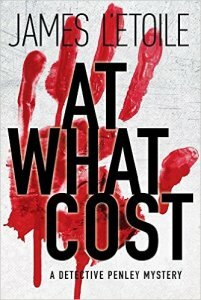 James L’toile calls on his vast experience in the criminal justice system to debut what Auntie M hopes is the start of a new series, At What Cost. Set in Sacramento, he introduces Detective John Penley and his new partner, late of Internal Affairs and therefore proving her worth, Detective Paula Newberry. Facing a puzzling case will either cement or destroy their budding relationship, when trunks of headless and limbless bodies of gang members start appearing. This is not your usual serial killer at work, and there soon becomes a personal component for Penley relating to his ill son that ties the investigation together and points squarely at the detective, for his son is on a kidney transplant waiting list, an organ he desperately needs. Far from a simple manipulation of the supposedly-secure integrated donor system, there’s more at stake here as the two detectives dig deeper and the taunting of the killer rises. Can Penley use his son’s illness to flush out this maniac before he kills again? Or should he do a deal with the devil that might save his son’s life? L’Etoile gets gang culture just right, along with the deranged personality of the demon his detectives seek. He knows the lie of the land in a police station, too. His work includes associate warden in a maximum security prison, director of adult parole, a primary hostage negotiator, and a national consultant on prison-based rehabilitation programs. 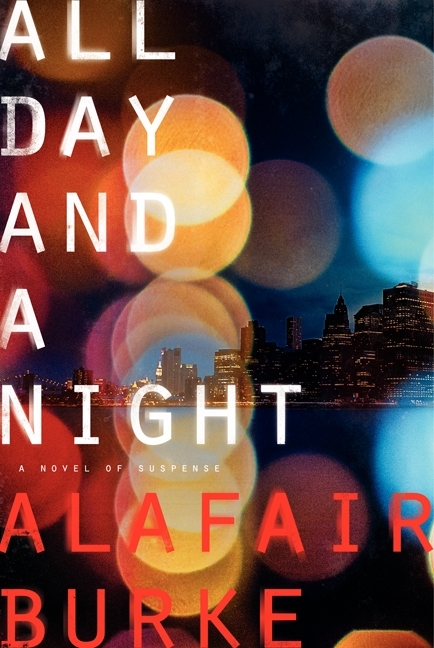 This extensive experience runs the gamut of what humans are capable of doing to one another, and L’Etoile puts that knowledge to very good use in making this one of the most realistic and heartfelt crime thrillers she’s read in a good while. The characters are complex and the pacing frenetic as the urgency to find the killer ramps up the action as a young boy’s life hangs in the balance. 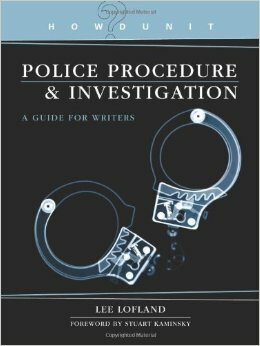 A powerful debut with a thriller of a police procedural at its heart. 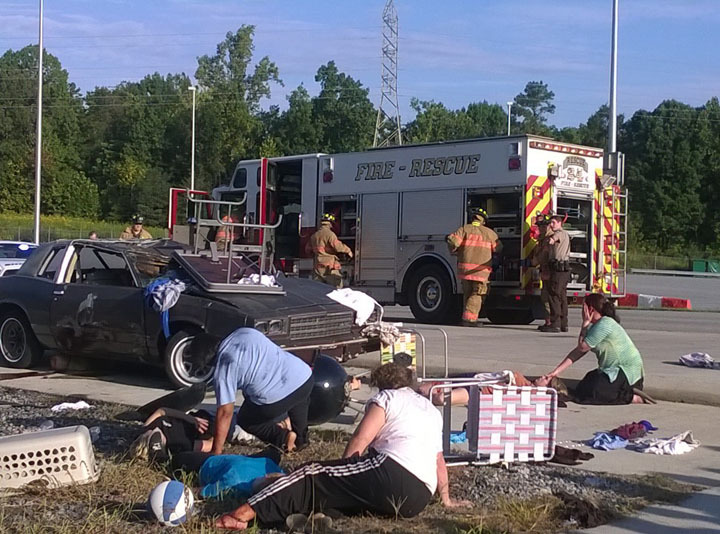 Readers will be waiting for Penley and Newberry’s next case. Austrian writer Ursula Archer is a science journalist who has previously published YA and children’s books. 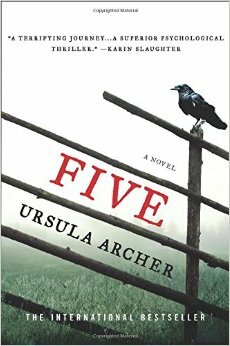 Now she turns her hand to police procedural thriller in FIVE and readers will be very happy with her decision. And the pace never lets up as police detectives Beatrice Kaspary and Florin Wenninger become involved in solving a series of increasingly confusing murders. First is the body of a woman who fell from a cliff who turns out to have GPS coordinates tattooed on the soles of her feet. When the detectives trace the spot of these coordinates, they find a severed hand and more taunts that lead them to yet another site and more body parts. It soon becomes clear they are on the trail of a murderer who is using the sport of geocaching in a far more sinister way than usual. The clues they are given are frustrating and obtuse, sometimes leading to a witness who then disappears, and all the time the two detectives feel the killer is playing with them. Then he starts to leave Beatrice text messages on her phone and the tension, never abated, ratchets up. This is a clever and well-plotted mystery with the puzzle at its heart that grabs you and doesn’t let go. That the detectives are compelling figures adds to the mix. Let’s hope this is the first of a series from Archer. Auntie M will be lining up to read the next translation. 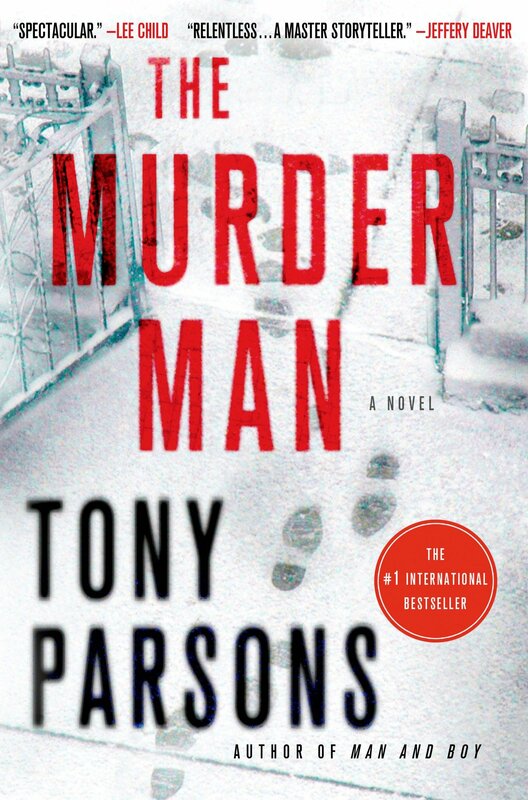 Journalist and internationally-known author Tony Parsons turns to crime, introducing London police detective max Wolfe in The Murder Man. The book opens with a strong introduction: “I was waiting for a man who was planning to die.” It then recounts Max’s conviction and actions that save the day and become the catalyst for his transfer to the Homicide and Serious Crime Command to work under DCI Victor Mallory. Despite his love for dogs and coffee, coupled with insistent insomnia, this single parent is tenacious as he tackles the trail of serial killer who cuts throats and gets away without leaving evidence behind. The first victim, investment banker Hugo Buck, has a lovely wife he abuses and a history that is sparked by a photograph he keeps on his desk: what looks like seven young soldiers in the 80’s. The photograph is a key clue for Max as the killings continue and it becomes obvious that the young men in that photograph are targets. And it’s up to Max to find the perpetrator before they’re all murdered. With his young daughter, Scout, a reasonable housekeeper in the form of Mrs. Murphy, and that adorable King Charles Cavalier Spaniel, Stan, Max struggles to keep up with this canny killer. But don’t let these domestic details fool you into thinking this is anything resembling a romantic read. There is pathos in Max’s home situation as he struggles to adjust to raising his daughter alone and is determined to do right by her. This is an auspicious opener for what promises to be one heck of series and Auntie M is looking forward to the next installment. Highly recommended. 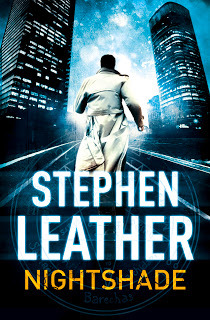 Stephen Leather is the accomplished author of several thriller series, including the bestselling Spider Shepherd series. He returns with the newest in the Jack Nightingale occult thrillers in Nightshade, which he based on areal incident that occurred in Scotland when a middle-aged farmer entered a primary school and killed sixteen children and an adult before committing suicide. This case formed the basis that led to a ban on handgun ownership in the UK. What Leather does spectacularly well is to use the theories for that massacre as the plot line in this chilling novel that is disturbing as it brings a dark twist to the events that feel too real and possible at times. When Jimmy McBride walks into a school with a double-barrelled shotgun and begins his massacre, he sets into motion a chain of events that lead his brother, Danny, to employ Nightingale. The former cop-turned-private eye reluctantly agrees to look into the case and finds to his horror too many connections to discount. Police have found evidence of Satanic practices at McBride’s farm, which Danny insists were not present just days before when he visited Jimmy at his farm. Woven into the story is a young girl who is miraculously revived after being declared dead after a horrible home invasion. Bella claims she’s spoken to people from beyond the grave but a disturbing pattern soon emerges. People who she’s whispered her secrets to start to die and often take others with them in bizarre killings. Nightingale soon realizes there is much more at work here than appears on the surface, and as he digs deeper he brings his own life into jeopardy. This is a compellingly told tale that will leave readers sitting on the edge of their seats as the events leading to the haunting prologue start to make a terrible kind of sense that only Nightingale can resolve. 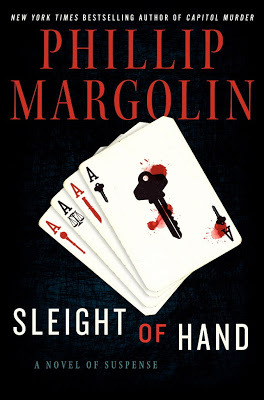 Philip Margolin brings back fan favorite private investigator Dana Cutler, previously seen in his Washington Trilogy series, in the fast-paced legal thriller Sleight of Hand. Dana will face a fierce opponent: the slick criminal defense lawyer Charles Benedict, a man whose talents include magic tricks–and murder. Sent to the west coast on the trail of a stolen relic, Dana doesn’t see a connection with the missing medieval scepter until she’s deeply embroiled in the case of the missing wife of millionaire Horace Blair. The action hinges on the prenuptial agreement signed by Blair and his wife, Carrie, guaranteeing her twenty million dollars if she remains faithful for the first ten years of their marriage. When Carrie disappears the week before their tenth anniversary, Horace is charged with her murder. Surely twenty million is a great motive for murder? Blair hires Benedict to defend him, not realizing the very man who is responsible for him going free may also be responsible for the murder of his wife. Benedict uses sleight of hand to frame Benedict for Carrie’s murder, which is the inspiration for the book’s title. His own motives prove chilling and Dana is determined to bring the lawyer down. How Dana manages to outwit the psychopath Benedict creates the high suspense that is a hallmark of Margolin’s novels and involves readers in Dana’s hunt to bring down a cunning and cold-blooded murderer. 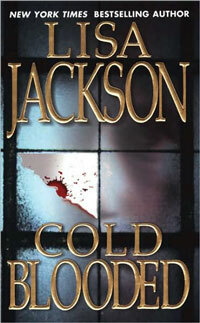 Lisa Jackson adds a hint of romance to her thriller, Cold Blooded, set in New Orleans and featuring Olivia Bechet, a young woman who has inherited her Grannie Gin’s ability to see through the eyes of a murderer. When a woman’s slashed and burned corpse is found in a seedy New Orleans apartment, jaded detective Rick Bentz discounts Olivia’s reports of visualizing the bizarre ritual murder in a nightmare. Bentz has his own demons he’s dealing with, and they certainly don’t include a tendency to believe the supposed sightings of Olivia. Then the bodies start to pile up, and it’s obvious young college women are being targeted, with Bentz’s own daughter, Kristi, is in the mix. Suddenly the visions he discounted start to make terrible sense, and Bentz starts to believe Olivia’s visions. Jackson shows the killer’s point of view, too, which ups the suspense, as The Chosen One focuses in those around Bentz. When his own brother is thrown into the mix, Bentz doesn’t know where to turn. Is his brother an innocent victim, set up to take the fall for The Chosen One? Or is his brother really the maniac who is terrorizing the area? 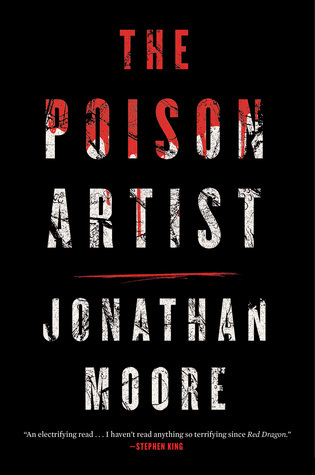 For those who like their action mixed with a hint of sizzle, this is a perfect, briskly-paced summer read. 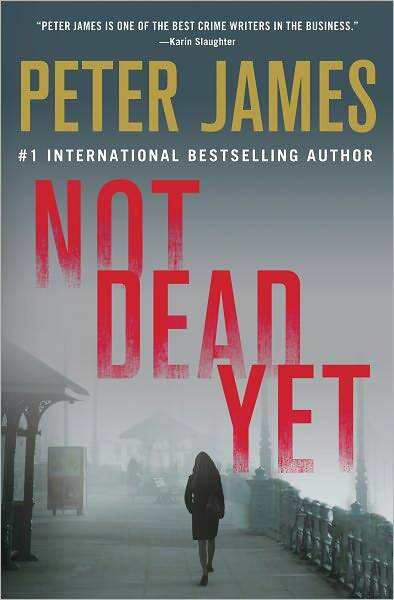 In Not Dead Yet, the incomparable Peter James is back with Brighton Detective Superintendent Roy Grace, who intends to spend the weekend with his pregnant partner, Chief Mortician Cleo Morey. Coping with preparation for a major trail looms for Grace, but the couple hope to steal some together before their infant is born. That notion comes to an abrupt halt with the finding of a torso embedded in chicken excrement under the gridded steel floor at an East Sussex chicken farm. Other than some bits of clothing and a multitude of flies, the head and all four limbs are missing. Grace’s team are stressed, too, between illness and divorce, and all take their toll on Grace’s worry, even as he waits for the papers to come through that will declare his wife, Sandy, legally dead, after her disappearance ten years ago. All Grace needs now is the call he receives from the Chief Constable, and despite the cases he’s dealing with, he’s handed an unwelcome assignment: setting up a security strategy for rock singer and actress Gaia Lafayette. Gaia is a Brighton native, arriving back home to star in an historical film about King George the Fourth and his mistress. Significant scenes will be filmed on location at Brighton’s jewel, The Royal Pavilion. But threats against Gaia’s life follow her from California where an assistant has been murdered, and Grace is tasked with coordinating several teams to assure the star’s safety. The star arrives with her young son in tow and a multitude of Hollywood types whose mere presence adds to Grace’s stress and workload. Add to these worries a Brighton villain Grace put away who has been released, and the maniac fans who follow Gaia around, and Grace’s pressure is rising. Then Cleo’s car is vandalized and all bets are off as he races between caring for her and saving Gaia’s life, while his own literally hangs in the balance. How the cases intersect is a prime example of the intricate plotting that is the hallmark of this entertaining and rewarding series. An extra twist at the end will stop your heart for a moment. This series just keeps getting better and better with its overarching plot points keeping readers eager for the next installment. Award-winner S. J. Bolton had several stand-alone successes before bringing back DC Lacey Flint, a most unusual character who is on leave from the ordeal she suffered in Dead Scared, after being introduced in Now You See Me. 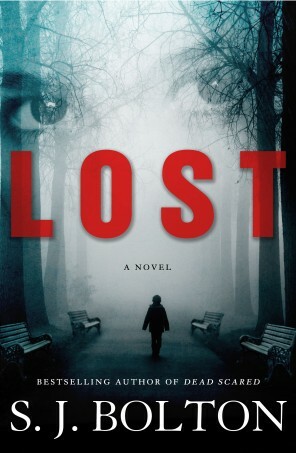 In this outing, Lost, the title refers to any number of characters in this thrilling ride as a serial killer terrorizes young boys, draining their blood and leaving their bodies to be found. Bolton cleverly tosses in narrated sections a psychiatrist’s sessions with an unnamed client at the same time as she realistically gets inside the head of Lacey’s young neighbor, 11-year old Barney. He and his friends are affected by the gruesome murders with fearsome results. Despite his father’s efforts to create some kind of home life for the two of them, Barney is desperate to find the mother who abandoned him and enlists Lacey in his search. Readers also enter the points of view of Lacey’s former boss, DI Dana Tulloch, saddled with the task of tracking down this heinous killer, and Lacey’s colleague DI MArk Joesbury, whom Lacey may have let get too close to her. As Lacey struggles with the aftermath of her last case and tries to decide if her future lies in the police force, Barney realizes he may have a personal connection to the murderer. With trust gone, he has no one he can trust except Lacey. This is part police procedural, part thriller as the suspense escalates and the violence continues until it gets out of control in this beautifully written tale of one young courageous lad and his friendship with the very wounded and fragile Lacey Flint. 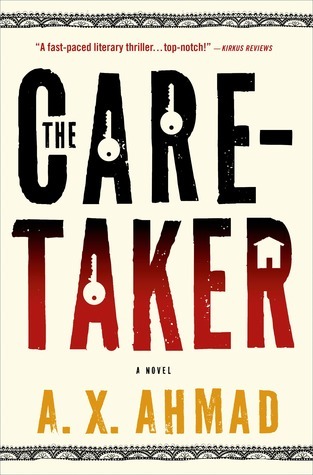 Crossing the pond to New England and the world of Martha’s Vineyard, A. X. Ahmad brings readers into the world of Sikh culture with his mesmerizing debut The Caretaker. Ranjit Singh is coping with a military career gone horribly wrong and has fled with his family from India to Boston, living first with his wife’s family until he starts his own landscaping business in the posh neighborhoods of the Vineyard. But summer’s jobs have faded with the onset of winter and Singh is desperate for work, which lands in his lap when the beautiful wife of a popular Senator hires him to be a caretaker for their closed summer home. This soon leads to other similar positions and a sense that he may make a new life for himself and his family. He watches as his wife and young daughter try to assimilate into American culture and just as he thinks they may all thrive, he finds himself caught up in an unwanted scheme that brings him perilously close to losing everything and everyone he loves. Ahmad’s thriller is filled with action, as Singh becomes the man of action he used to be in the Indian Army before his fall from grace. As he tries to safeguard his family, he becomes inexplicably entwined with the comely Senator’s wife, a longtime Vineyard resident, and falls prey to the machinations of the powerful Senator whose rise from poverty is the stuff of legends. Themes of class and race, culture and above all, a man forced to face his own morality all come to bear in this tale that is lovingly crafted. There are scenes filled with grace and others with surprise and intrigue, all graced with the haunting prose and deep personal reflection. A sensational newcomer not to be missed. This week Auntie M has three goodies courtesy of Minotaur Books for your reading pleasure. 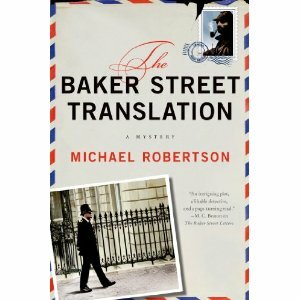 First up is the third installment in the delightful Heath Brothers series written by Michael Robertson, Baker Street Translation. Reggie and Nigel didn’t realize the lease of their Baker Street law offices included the famous number 221B, but quickly learned that one of their responsibilities as tenants is to answer mail addressed to Sherlock Holmes. This delights Nigel as much as it frustrates Reggie. Previous escapades have taken the brothers to California, but this one takes place on London home turf, with ties to Sherlock Holmes the pivotal point. When a wealthy American heiress decides to leave her impressive fortune to Sherlock Holmes, she unwittingly sets in motion a series of events that have Reggie summoning Nigel back from his Los Angeles stay. It also connects in some way to the kidnapping of Robert Buxton, Reggie’s rival for the lovely actress Laura Rankin. Deciding to pop the question, ring in his pocket, Reggie’s attempts to become engaged fall by the wayside as the kidnappers insist Laura is the only one who can provide the ransom to save Buxton. Reggie can’t allow Laura to put herself in jeopardy, but then Laura isn’t your average actress. Thwarting Buxton’s security team and Reggie’s attempts to protect her, Laura feels responsible for Buxton’s return and follows the kidnapper’s demands, wit unexpected results. 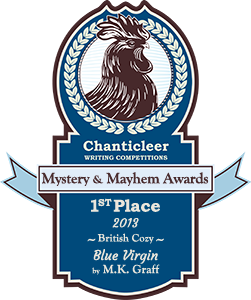 Along with his sleuthing, Reggie will lock horns with a feisty Texan, decipher the riddle presented by nursery rhymes gone wild in a talking duck, and learn more than he ever wanted to know about London’s sewer system, and all before a royal event goes haywire. Fans of Sherlock Holmes will delight in references to the canon but you don’t have to be a Holmes fan to enjoy Robertson’s deadpan delivery or his improbable and whimsical plotting. A delight for mystery readers who enjoy a puzzle. 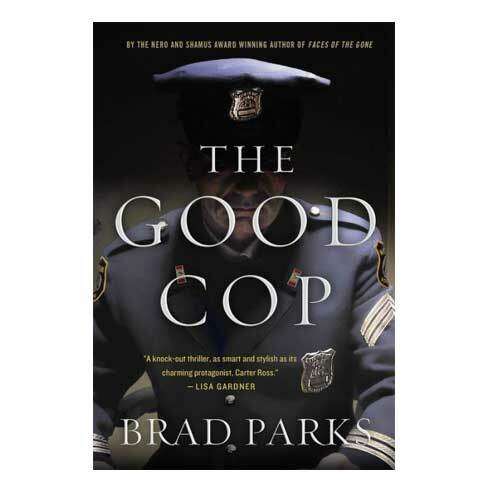 The puzzle in Brad Parks’ The Good Cop seems more clear cut but has the same comic elements as the Baker Street series. Parks uses the first-person narration of reporter Carter Ross to inform us of the mean streets of Newark, New Jersey, that he covers. Rushing to be the first to interview a dead policeman’s widow, Ross succeeds and gathers great material for a killer article. Darius Kipps loved his job, had a lovely wife, and two young children he doted on who he was planning to take to Disney World. But as Ross wonders why no other reporters have shown up, his boss informs him the article is off. The cop has committed suicide. Yet something else seems off to Carter, and the widow agrees, making a public statement to that effect. Her husband had everything to live for and would never have taken his own life. Added to the mix is a charismatic preacher who has the widow’s ear. Then calls Ross makes to the medical examiner are blocked, and his instincts kick in. Using his contacts, and sufficiently sustained by his diet of two slice of pizza and a cold Coke Zero, Ross sets out to unearth the truth about what really happened to Good Cop Kipps. 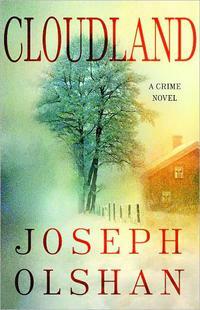 Changing tones a bit but still with a sense of wry humor in his protagonist, Joseph Olshan gives us his debut thriller, Cloudland. The rural Upper Valley of Vermont and New Hampshire is an area with tough weather and even tougher people. The wealthy, the artistic, and the working class have more than their love of the area in common. They have a sense of safety where residents rarely bother to lock their doors. Things change radically when a serial killer targets young women in their region. Whether jogging on a back road or stopped at a rest stop, the victims share more than their youth: being alone at the times of their murder made them easy targets. Into the mix comes Catherine Winslow, a former reporter who lives simply and earns a living writing a household hints column. 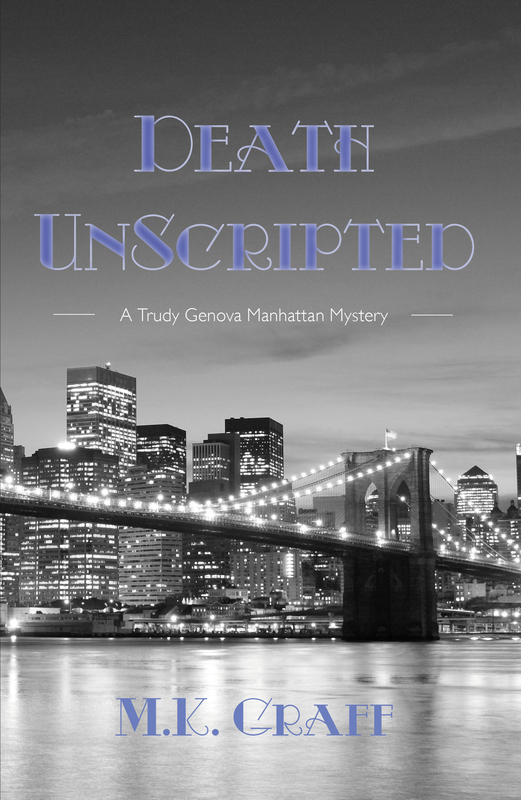 Her reporter’s instincts, coupled with her own sense of survival, all contribute to the urge she feels to uncover the murderer when she finds the body of one of his victims. Suddenly the killer has invaded her turf and made his threat real. 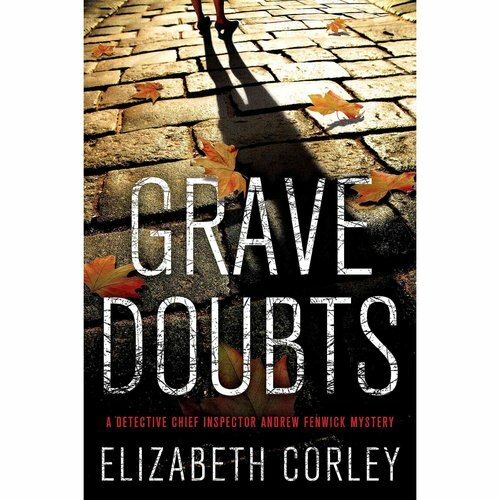 Teaming up with her forensic psychologist neighbor and the detective on the case, she investigates the murders and finds close friends and neighbors on the suspect list. Adding to her stress is her strained relationship with her only child, a daughter living in New Jersey, and her past relationship with a much-younger lover that still haunts her. Olshan does a fine job describing the impact to this rural landscape that these killings leave. 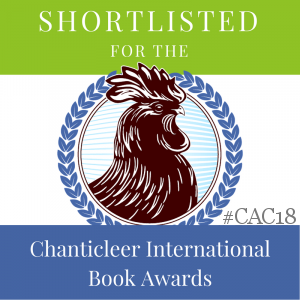 With echoes of the gothic literature Catherine loves, as well as a clue in an obscure Wilkie Collins novel, the reader will absorb Olshan’s elegant prose and evocative language as this compelling story explores not only the mystery but the psychology of its characters. 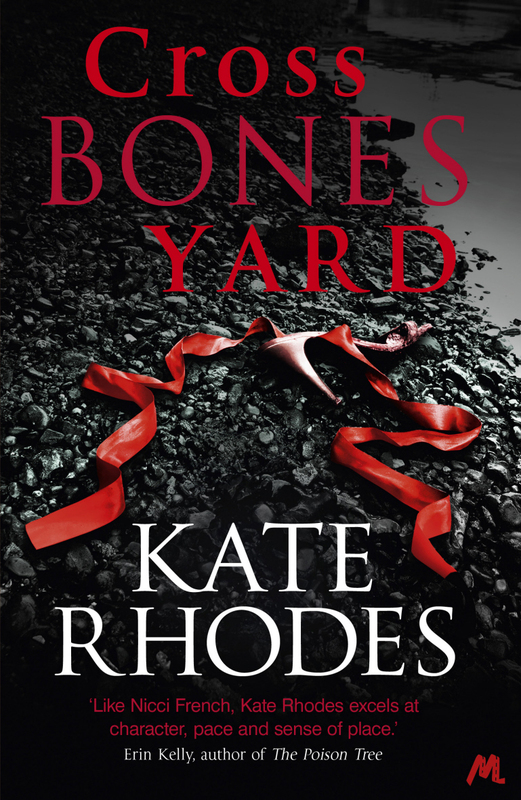 Poet Kate Rhodes brings London’s neighborhoods vividly alive to readers in her debut psychological thriller, Crossbones Yard. 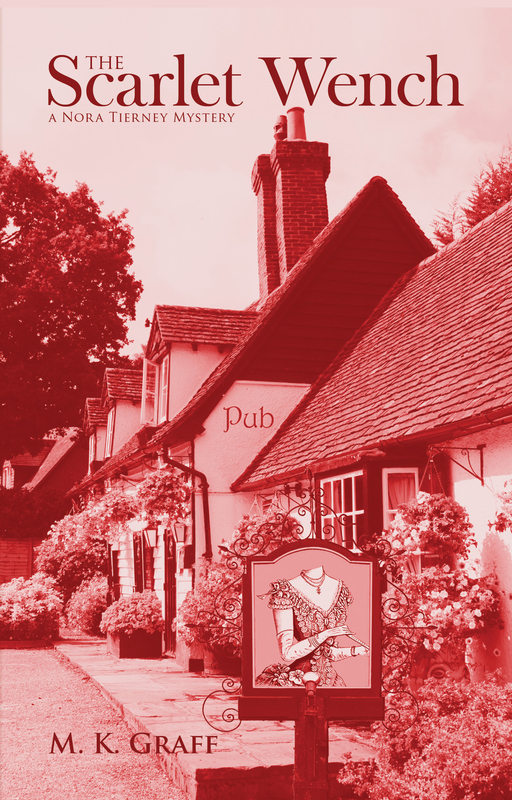 These areas, some glitzy and others tawdry, are all known to psychologist Alice Rhodes, whose daily runs take her places that don’t usually faze her, but do give her the endorphin high that keeps her own painful memories at bay. Fighting claustrophobia on a daily basis, she sublimates her nightmares by helping others battle theirs. Life for Alice includes a busy practice schedule and a brother battling his own demons who often ends up on her doorstep, but it is balanced by a good-looking boyfriend and close friends who care about her. Then one evening run brings complications Alice could never expect. Searching the roads for the quickest way home, Alice sees two ironwork gates she’s never noticed before, decorated with dozens of ribbons, cards and bits of paper. But it’s what she spies inside that will radically change her life: an open hand reaching out for her through the railing, connected to a fragile wrist and from there to the very dead body of a young woman on the other side of the gate. This is Crossbones Yard, a former graveyard for prostitutes. Trying to conceal her emotion, the surly detective who shows up and takes Alice home is annoyed at her pretense of composure. As part of her duties, Alice has just evaluated a convicted killer about to be released from prison at the behest of the overweight DCI Burns. She’s only mildly surprised to find he’s the investigating detective on the case. He has an uncanny knack for getting Alice to do his bidding, and she soon feels as if she’s become his personal research assistant. And that surly detective? He’s Burns’ detective sergeant, Ben Alvarez, and soon Alice finds herself in his company more than she’d like. Then it becomes apparent that the dead woman’s injuries are vastly similar to those of the style of a team of serial killers. Ray and Marie Benson tortured and killed thirteen women before being caught; five of their victims were never found. Before long, Burns has Alice working on a psychological profile of this copycat killer. Marie is still alive, languishing in prison. 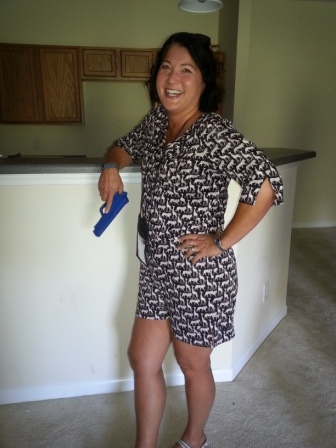 Does she hold the key to this gruesome murder? Will she tell Alice is she does? And what of Morris Cley, the just-released murderer whom Alice feels is not capable of this kind of planning. Cley lived with the Bensons. How is he connected with the new murders? With ties to her own background, Alice will find herself and those she loves in jeopardy as this case comes too close to home. This wonderful debut sports an ending that has a switchback twist that will leave you breathless. With it’s swift pacing and brief, staccato scenes, readers will find themselves swept up into Alice’s story. The plotting is complex, and Alice is a protagonist readers will want to follow.